The hydrangea is synonymous with Southern landscapes, as are the magnolia, dogwood trees, azaleas, crepe myrtles, camellias, and a very wide range of flowering bulbs. 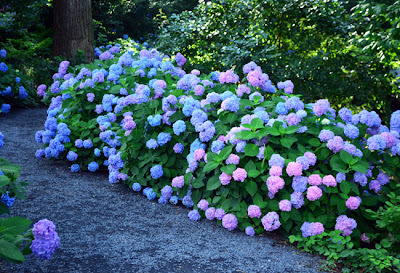 Truly, it seems that everyone I know has hydrangeas in their yards...they're in the backyard at my home. Some of the most spectacular specimens are at the Atlanta Botanical Garden, with a breathtaking spring showing in the Southern Seasons Garden. You'll see them elsewhere in the Garden and you'll see a number of varieties. 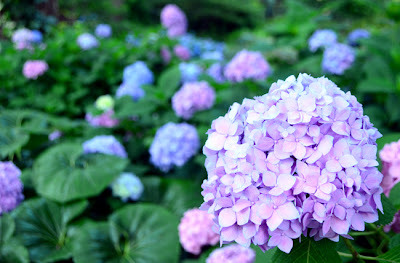 Their color range is quite spectacular as well, ranging from white to more pinks than you've seen at every wedding ever put together, blues that often reflect the bright Georgia sky, and purples that delight the playful imaginations of kids of all ages. 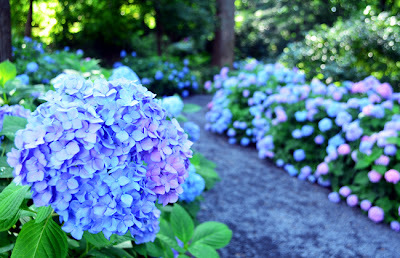 Hydrangeas at the Garden can be seen in their full blooming glory as late as August—one of the perks of having enough space to display numerous species. Recommendation: Always bring your camera to the Atlanta Botanical Garden (to any attraction, as far as that goes, but especially to the Garden). With our incredibly long growing season, things at the Garden can change a lot in merely a week...sometimes even within a single day! Having your camera ready will help ensure you get to keep the memories you know you'll cherish.